Independiente Medellin was the first to make it to the semifinals. El “Rojo de la Montaña” took the scalp of Atletico Bucaramanga in the quarterfinals. In the Atanasio Girardot stadium, Independiente got their work done early with a 3-0 victory and headed to Bucaramanga with a lot of confidence for the second and decisive match. It became a hot evening as los Leopardos were leading 2-0 with 30 minutes on the clock, but Medellin held on and booked a semifinals spot winning 3-2 on aggregate. Medellin are one of the favorites with the current top goalscorer, German Cano — who is even ahead of Messi in the 2018 goal scoring table — up front. But the striker has not been the only important link in the chain. Slender playmaker Andres Ricaurte has great distribution and a golden left foot to create chances for Cano. Wunderkind Brayan Castrillon is the biggest talent. The 19-year-old attacking midfielder made his debut on September 22, which started a 6-match winning streak in which Castrillon played every game. In the semifinals, Medellin faces Deportes Tolima. The current champions finished atop the regular season table and have been the most consistent team in Colombia this year. In the quarterfinals they had to deal with Santa Fe from Bogota. The team from the capital seemed on a roll as they managed to qualify on the final of the season against fierce city rivals Millonarios, but “El Vinotinto y Oro” struck the first blow, winning 2-1 in Bogota. The return seemed a formality but Santa Fe proved a tough opponent away from home and “Los Cardenales” won 1-0. The successive penalties were a piece of cake for Tolima who converted all four, while Santa Fe missed twice. The pillar of Tolima’s success is manager Alberto “Sonero” Gamero, who is said to be high on the list of candidates for the Colombian national team. Tolima lost two of their strongest players after winning the title, but Gamero didn’t complain and set up another winning team. Goalkeeper Alvaro Montero is one of the most important players for Tolima, he stopped a penalty against Santa Fe and has already made it into the Colombia squad. Striker Marco Perez suddenly proved to be a goalgetter in his fifth year at the club. Perez, who’d never scored more than nine goals in a season, is on 16 already this year and accompanies Medellin’s Cano among the league’s top goalscorers. 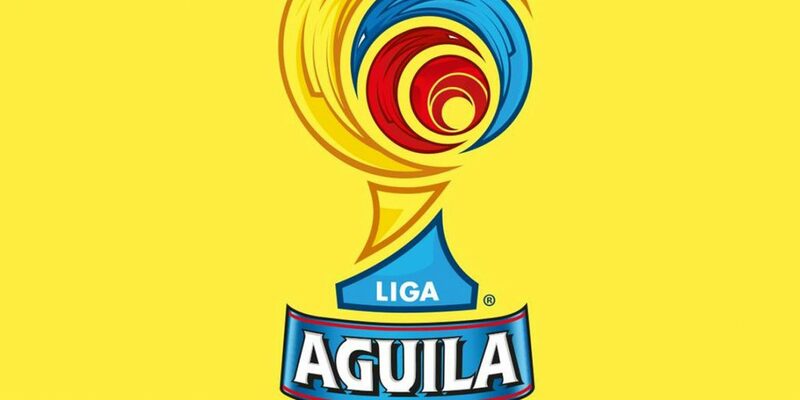 Rionegro’s Aguilas Doradas is undoubtedly the surprise package of the semifinals. The side that has been playing in three different cities and is on their fourth name in the past five years are in the league semifinals for the first time in history. The side met an Once Caldas in decline in the quarterfinals. “Los Blancos” from Manizales were the revelation earlier in the season with their intricate passing and carefully worked possession based football, but their run to the finals of the Copa Aguila seemed to take its toll as they lost two important players to long-term injuries, and the intensity at the end of the season wasn’t the same. Rionegro took advantage by winning their home game 1-0 and keeping the away side at 1-1 in a scrappy return full of incidents in the capital of Caldas. Rionegro is a team without stars, although left winger Fredy Hinestroza is the player jumping to attention. The skilled winger, back from a stint in Spain and Mexico, is the most creative player in this side. A talent to watch for the future is Daniel Muñoz. The 22-year-old right back has been a revelation in Rionegro with steady defending and great runs down the wing. He has been one of the best this season at right-back, a position that hasn’t had a proper back-up for Santiago Arias in the national team over the past years. The last semifinalist is possibly the side with the most quality of the four teams left: Junior de Barranquilla. The team got the better of La Equidad in the quarter finals. In the first leg in Barranquilla, Junior was the better team, but it wasn’t until the last ten minutes that Luis Diaz scored and claimed the 1-0 victory. In the return in Bogota, both teams had chances but Junior was never really challenged and a goalless draw put them into the semifinals. But Junior de Barranquilla is not directly the favorite to win the league due to their participation in the Copa Sudamericana. Junior is likely to make the Copa Sudamericana final and that adds two very important games to their schedule that is already busier than that of the other teams. Junior has a great mix of experience with 51-time capped Teofilo Gutierrez joining Rafa Perez, and young players like Jarlan Barrera, Gabriel Fuentes, and Willer Ditta. The most important player of the team has been left winger Luis Diaz who made a spectacular break through in 2018 scoring some important goals. Still only 21 years old, the player has already made his debut for the national team.